PNBAA is excited to announce the reappearance of a maintainers luncheon educational program in the Pacific Northwest. Aircraft maintenance technicians are encouraged to take part in this valuable opportunity to connect with industry colleagues and learn from prominent aviation equipment and service suppliers. This spring program features a relevant dialogue with Todd Lindsay, Rolls-Royce Regional Customer Manager. Attendees can expect to walk away with an advanced understanding of their support network when encountering an engine maintenance event. Please join us at the beautiful CBAir Hangar at Boeing Field on May 21st. Online registration is FREE and box lunch is provided thanks to our generous sponsor, Rolls-Royce. After a successful member grant experience last year, this PNBAA community will again invest in 2019 member scholarship/grants. Each member scholarship/grant is up to $2,500 to further pursue business aviation career aspirations within the Pacific Northwest. Are you looking for personal growth inspiration? Consider last year's diverse recipients are now endeavoring to complete: an initial crew emergency preparedness training course; a CFI certificate to foster future pilots; a NBAA Certified Aviation Manager program. All members are welcome to complete the application on the website. There will be three application deadlines this year. The first 2019 application deadline is May 24. Prior applicants within the preceding 12 months will be considered again. Later this month PNBAA is changing the credit card processing provider to AffiniPay. Your experience should be the same, just know when the annual membership renewal rolls around again you will be prompted to add credit card information and opt-in again for automatic renewals. The PNBAA monthly newsletter will keep you apprised of key program and event announcements. Keep in mind the event webpages are constantly updated with more detail as soon as it is ready to share. June 3 - Golf Tournament registrations & sponsor package requests will be available online on this date at 1:00 pm PDT (not prior). You can preview everything on the event webpage now! Rest assured there will be plenty of opportunities for everyone to participate. June 10-11- NBAA 2019 Security Conference in Bellevue. June 12 - Flight Attendant and Schedulers & Dispatchers Joint Meeting in Seattle. Event webpage coming very soon. August 1 - Friends & Family BBQ lunch in Seattle. The sunshine and Blue Angels are coming back for this annual social event. 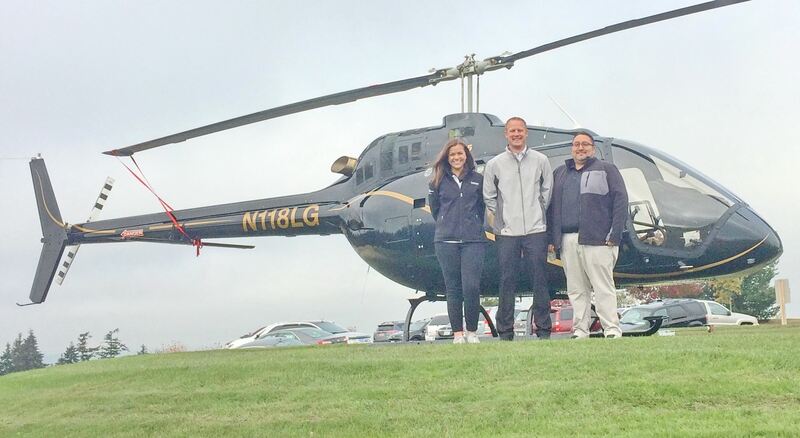 September 19 - 11th Annual Golf Tournament in Seattle. 300+ covering two courses at The Golf Club at Newcastle. The Portland Area BizAv Social last month proved to be an overwhelming success drawing 100+ from the region plus California. The consensus was clear this crowd appreciated the opportunity to engage in the Portland area and in looking forward to more PNBAA programs locally. Special thanks to these generous sponsors: Aircare International, CenterPoint Aviation Law, Collins Aerospace, Dassault Falcon Jet, Gulfstream Aerospace, Hillsboro Aviation, HUB International, Nike and Textron Aviation. PNBAA is experimenting with the content and your engagement on our private Facebook group. This group doubled in 2018! We encourage members to post any content relevant to business aviation in the Pacific Northwest. The first opportunity for the PNBAA community to engage this year will be in Hillsboro! We are overdue to introduce more Oregonians in business aviation to PNBAA. A relaxed social engagement feels like a great way to do it. Please encourage your peers to join us for a late afternoon beverage and light hors d'oeuvres. Online registration is FREE, but requested within the next couple of days to support the logistic needs. Business aviation professionals, pencil in these dates to attend the respective educational and professional development programs. Additional details with sponsorship opportunities will be shared in the March newsletter and the event web pages. On January 27th, the Pacific Northwest lost a true aviation legend. Peter G. Anderson, the nephew of Jim Galvin passed away. He is survived by his wife Sarah, two children and grandchildren. A memorial service will be held on Saturday, March 2nd 4:00 pm at The Museum of Flight to honor his legacy. Peter was an inspiration to many in the aviation industry, following the footsteps of his uncle who started Galvin Flying in 1930. He was extremely active supporting the Seattle general aviation community with his involvement at The Museum of Flight, Raisbeck Aviation High School and PNBAA in its founding years. Peter’s vision continues at Galvin Flight Training, where the passion of aviation flows into future aviators each day. Peter will be missed by many within PNBAA and has left a profound impact on those that knew him well. This not-for-profit truly benefits from the impact of your annual membership dues. Annual membership dues account for ~$14,000 of the 2019 annual operating budget. Curious how your $50 or $200 make an impact? 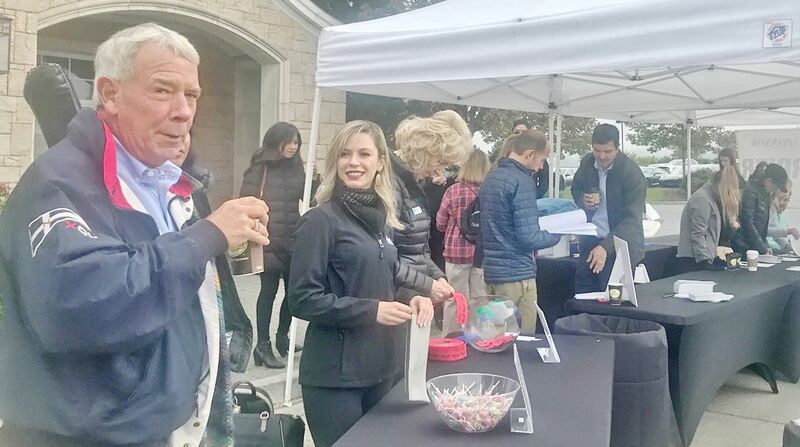 Three free programs where all business aviation professionals are welcome: Portland Area BizAv Social, Friends & Family Barbecue, Annual Member Meeting & Holiday Party. An aviation-focused philanthropy program that will will provide: three member grants, a Civil Air Patrol cadets camp scholarship, a Red-Tailed Hawks Flying Club program grant for underserved-youth and a Raisbeck Aviation High School graduate scholarship. The organization's functional needs from insurance to website services to professional services. Thank you for making an impact when you renew your annual membership! Please invest a minute this week to log-on to your profile and double check it is ready to renew again. 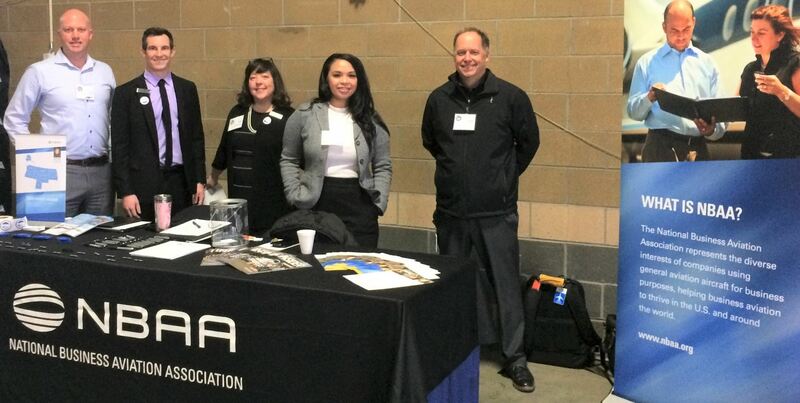 In February NBAA and PNBAA collaborated to attend the Northwest Aviation Career Forum in Puyallup. This day long program was presented in conjunction with the annual general aviation conference. Our diverse representatives presented a panel discussion introducing business aviation to students and transitioning adults predominantly pursing pilot careers. Thank you NBAA's Kristi Ivey and Brian Koester for leading this initiative with the support of PNBAA members: Justin Brown, Ernesta Corcoran, Scott Jefvert, Brian Miller and Brett Palmiero. At the December Member Meeting & Holiday Party the PNBAA membership elected the next class to the board of directors. New board members Jackie Charles-Spears and Scott Helms are joining incumbents Scott Jefvert, Frank Madison and David Warner. Jackie is a Senior Flight Coordinator at Nordstrom, Inc. with a wealth of experience bringing the aviation community together. She was recently co-vice chair of Women in Corporate Aviation and previously the co-president of the Pacific Rim Schedulers and Dispatchers Association (PRSDA). PRSDA merged with PNBAA in 2016. Two years ago Jackie was also instrumental connecting the PNBAA philanthropy committee to the Red-Tailed Hawks Flying Club. PNBAA now supports their mission to introduce aviation to under-served youth. 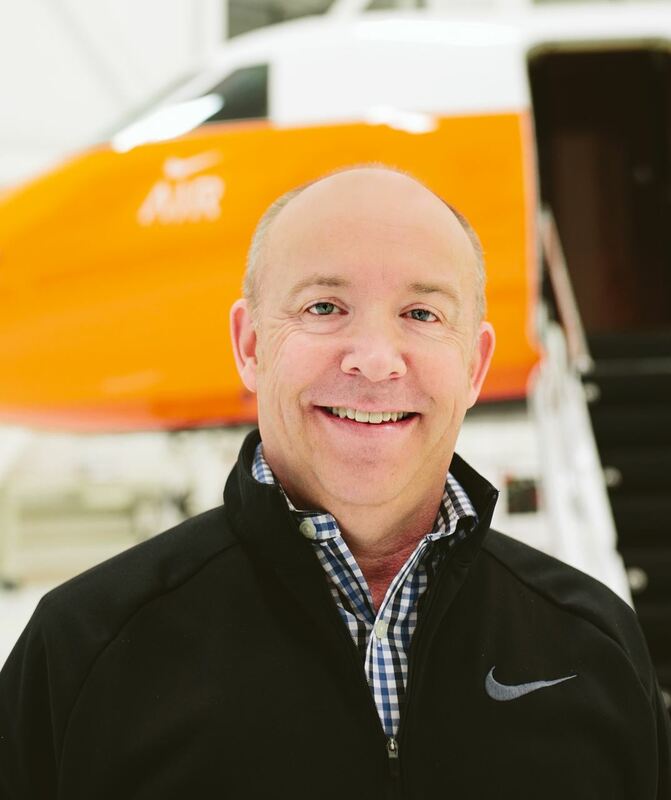 Scott is an FBO industry veteran and mostly recently joined Kenmore Aero Services as its General Manager in 2017. He has been one of the friendliest connectors at Boeing Field over the years previously working at Landmark and Galvin Flying Services. Scott has experience volunteering in this aviation community also serving on the former PRSDA board of directors. Scott is a bit of an aviation history buff, so exercise caution if he suggests a trivia wager. Please share a heartfelt thanks to outgoing directors Kimberly Perkins, Ryan Setting, Wayne Werner and Stacey Woods.These directors, often behind the scenes, strengthened our diverse programs, grass roots advocacy and membership experience. Congratulations Members Brian Roger & Danny Yazzolino! Brian Roger and Danny Yazzolino have both been awarded 2018 member grants up to $2,500. The board of directors presented three awards last year to members furthering their business aviation career aspirations.The member grants have proven a successful component to PNBAA's annual philanthropy plan. Thank each of YOU for being an annual member, participating and sponsoring the 2018 programs that funded these opportunities. Brian is Aerius Management corporate pilot with a vision to pay it forward. He will use the PNBAA grant to help complete his CFI certificate this year and then share some of his time-off teaching the next generation of pilots in the Seattle area. 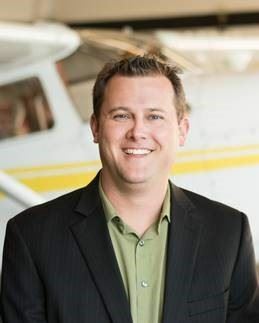 Danny has invested heavily in personal development within the FBO environment at the growing Hillsboro Aviation. The PNBAA grant now provides him a clear path to complete NBAA Professional Development Program courses. Fulfilling those prerequisites he will complete the Certified Aviation Manager exam this year. Keep an eye out for newsletter announcements and event sites for details. Below is a preview of 2019 programs and events in development. We will kick off the year with a Portland Area BizAv Social event on Tuesday, March 12th 4:30 - 6:30 pm. FREE registration and sponsorship opportunities are available on the event site. PNBAA is planning to hire an Event Planning Coordinator (EPC) to manage the execution of our year-round programs and events. The increasing size and success of these experiences necessitates this important role. At a high level, this independent contractor role will be conducing most of the planning and execution of all programs and events. A volunteer committee will provide direction, supplemental support and lead fundraising. It is anticipated the EPC role would require about 750 hours annually. The workload would be distributed in a ramp-up pattern for each program, which are spread throughout the year. Do you know someone who has this organization skill set or would like to learn more? Please complete the Contact Us form on the website to engage the board committee. Washington State Aviation Awareness Day - The Washington State Aviation Alliance with PNBAA participation will host the annual Aviation Awareness Day at the John A Cherberg Building on the Capitol campus on Tuesday, January 22. State legislators and committee staff will attend. Aviation Awareness Day has proven to be an effective event to educate attendees about the important contributions business aviation and its professionals provide. Learn more about how you can participate by completing the PNBAA Contact Us form. NBAA Contact Congress Resource - PNBAA encourages our members and stakeholders to utilize NBAA's Contact Congress advocacy tool to email your elected officials and advising them about the negative effects the government shutdown has on general aviation. Please use this opportunity to educate members of Congress about the unique challenges our industry is facing during the prolonged government shutdown. The sample letter will help introduce the key issues to your member of Congress and can be edited to add additional details about your company or flight operation. If you plan to attend NBAA's 2019 Schedulers & Dispatchers Conference at the end of this month in San Antonio, please stop by and meet various PNBAA board members who will be representing our organization at this networking event. We would welcome the opportunity visit with you and facilitate new professional relationships. Join the PNBAA Board of Directors congratulating Ernesta Corcoran for being awarded one of NBAA's Top 40 Under 40 this month. 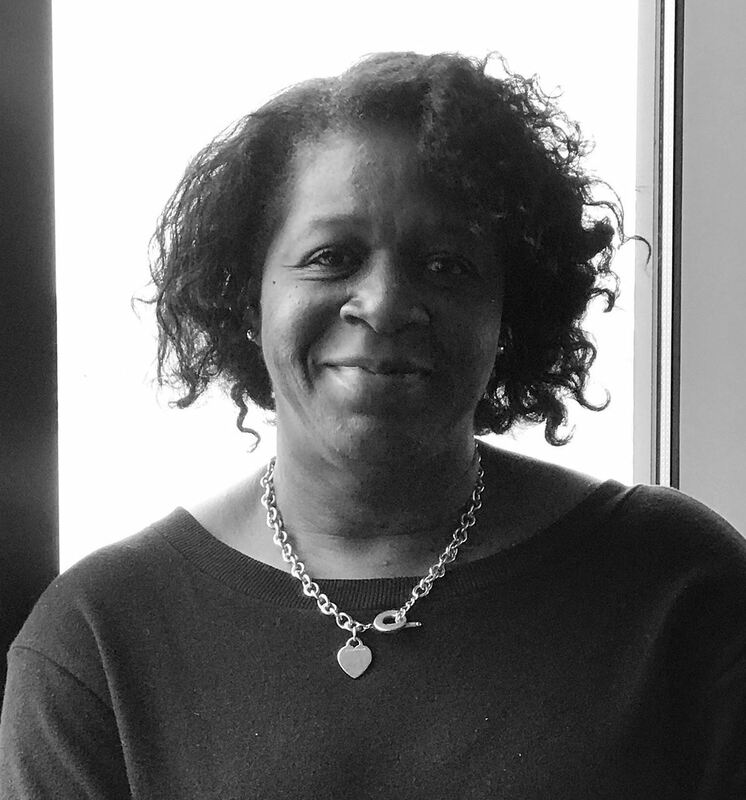 Ernesta is one of the driving forces within this organization leading the Schedulers & Dispatchers program, membership renewals, communication initiatives plus she is a familiar face at every engagement. 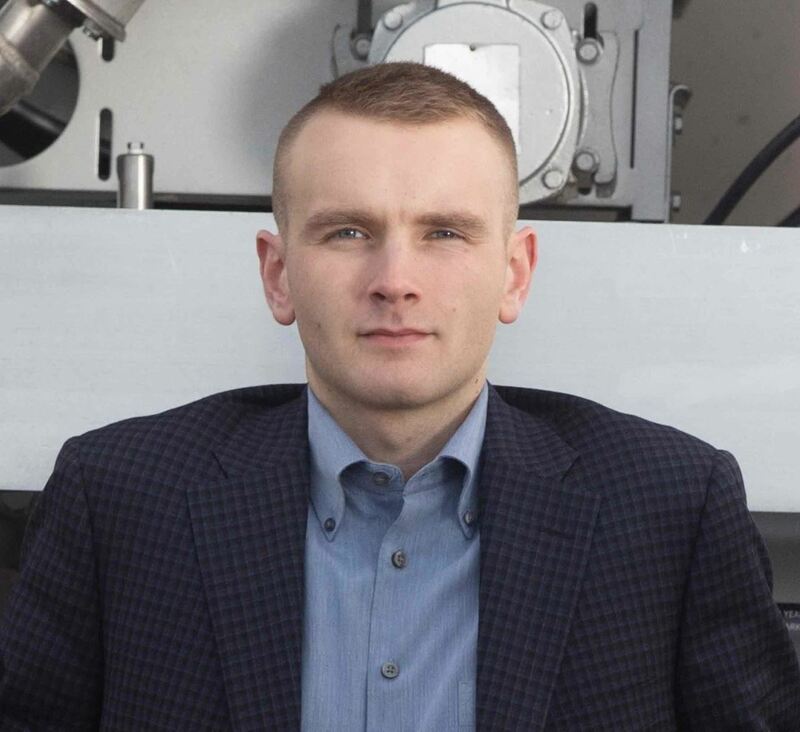 Those responsibilities are all in addition to managing the fast pace world of charter sales and keeping customers happy at Jetstream Aviation. We are grateful Ernesta has chosen to give her energy and enthusiasm to our business aviation community. What a successful 2018! The PNBAA community will gather for our annual Member Meeting & Holiday party on December 6th. Share your 2018 journey and hear about others. A short business meeting will start at 4:30 pm to review our collective accomplishments, philanthropy and current annual members will elect a new class to the Board of Directors. Are you ready for personal growth in 2019? Consider applying for the next class to be elected to the Board of Directors in December. It is a hands-on role focused on creating professional development programs, strengthening peer relationships, advocating for the industry and paying it forward with philanthropy. Key skill sets you will likely develop in this role include event planning, a little fundraising, committee collaboration and learning more about our diverse industry. Please complete a website application by November 4th. All prior applicants throughout this year remain in consideration. The Board will review applications and nominate the next class to be elected at the upcoming Member Meeting & Holiday Party. Visit with any Board member to learn more about the opportunity. 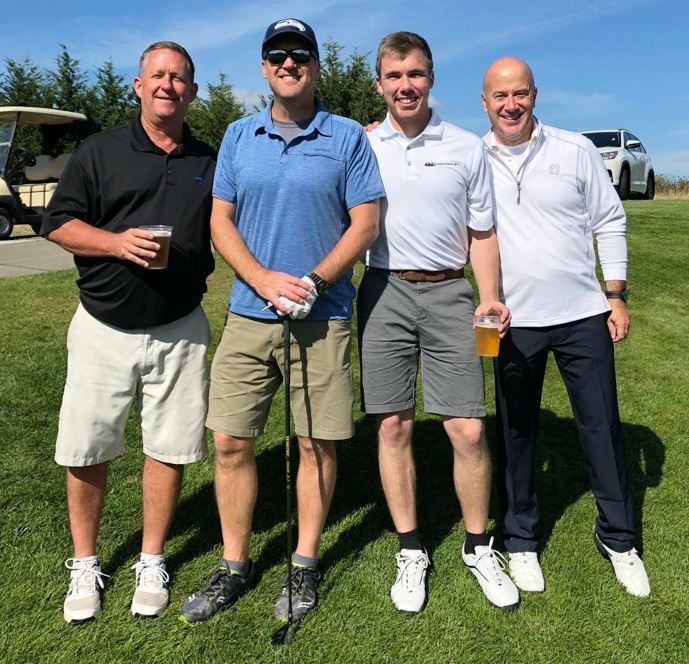 Last month the PNBAA community enjoyed a picture perfect day for the 10th annual Golf Tournament. 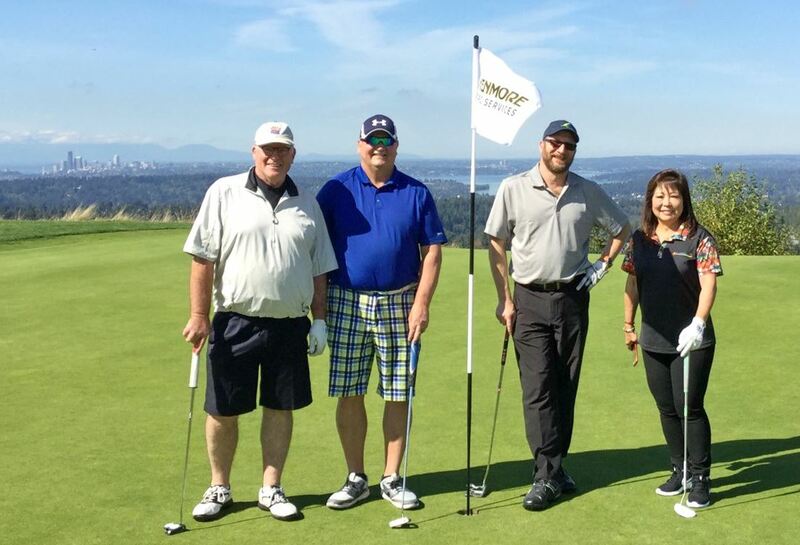 It was the largest PNBAA engagement yet with 300+ golfers, sponsors and volunteers covering two courses. 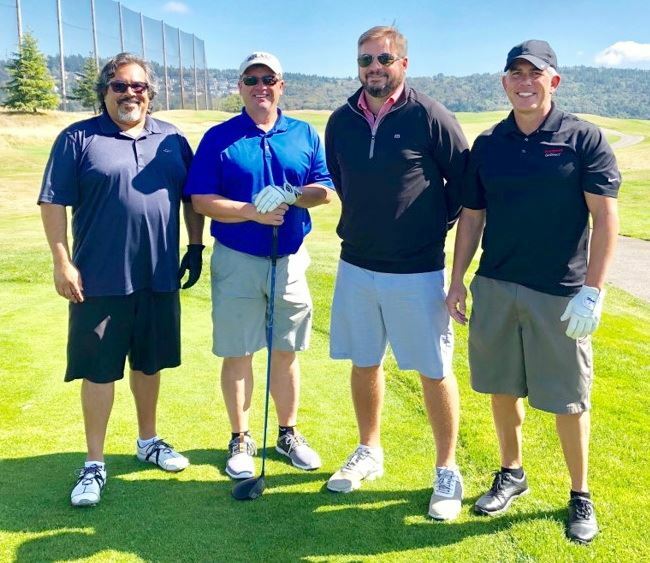 Special thanks to Title, Golf Ball and Hole Sponsor Dassault Falcon Jet and the record number of supporters for making this unprecedented engagement possible. Dozens of participants won golf and raffle prizes to boast about. The 10th place golfers won the biggest prize as a fun way to honor this 10th year. Congratulations Lukas Cannon, Mick Kendall, Bill Appleton and Jake Nicol! The Golf Committee is knee deep in preparations. Hopefully everyone else is just as excited to engage 300+ business aviation professionals in less than four weeks. Title Sponsor Dassault Falcon Jet is providing proprietary golf balls with anti-hook/slice treatment to tighten up the scores. The 10th place team will receive a special prize in honor of the tournament's 10th anniversary! Do you want to play? There are about dozen golfer registrations available now. Sign up! A wait-list will follow and be fulfilled by cancellations/sponsor donations. Alternatively, would you rather enjoy a late afternoon miniature golf contest plus partake in the social experience? Register for the "Rusty Putter Miniature Golf contest/19th Hole/Dinner & Awards Ceremony" package for just $75. This is a fun new experience for the rest of us who don't wear golf attire. The tournament expansion into both courses has yielded more sponsorship opportunities for every budget. Flight departments are jumping into the mix to demonstrate PNBAA support and expand their team's participation. All organizations please consider joining this experience with a sponsorship package. Finally, the Golf Committee is looking for a unique "photo volunteer" to take lively outtake pictures and create the PowerPoint slideshow for dinner. If this role may be of interest, email volunteer leader Kristin Kirschbaum. This month the PNBAA Board of Directors awarded the first of three 2018 member scholarships to Beatrice Zhang. Beatrice is a contract corporate flight attendant based in Seattle. She is an enthusiastic new member of this community eager to learn and be recognized for her professionalism. Beatrice will gratefully use this award to complete recurrent Aircare International FACTS training this year. As a reminder, PNBAA will be awarding two more member scholarships up to $2,500 each to further pursue business aviation career aspirations within the Pacific Northwest. All prior applicants will remain eligible for the upcoming awards. Who do you know that would appreciate this support in their personal growth plans? Perhaps someone ready to rejoin business aviation after time off caring for family? Are you looking to switch roles within our industry? All members are welcome to complete the application on the website. The upcoming closing deadlines are October 1st and December 1st. Join fellow PNBAA members on Wednesday, October 3rd in the Georgetown neighborhood for a beverage and to pack donated school supplies. Aviation for Humanity, a Seattle-based non-profit, has 1,000 pencil cases that need to be stuffed with school supplies for a donation that will flown to a shelter in Nepal. PNBAA recently donated $1,000 to fund this project. Meet and mingle with fellow aviation-enthusiasts while doing charitable work. RSVP to Aviation for Humanity's Kimberly Perkins. PNBAA is experimenting with the content and your engagement on our private Facebook group. We encourage members to post any content relevant to business aviation in the Pacific Northwest. Thankfully you saved the date to be in Seattle in two weeks. The PNBAA community is gathering once again for our annual Friends & Family BBQ while the Blue Angels are having fun overhead. Its a great opportunity to socially catch up with fellow business aviation professionals and have lunch with your family "at work". Current PNBAA annual members and these loyal sponsors make this social event possible. Thank these peers and add your support by double checking your membership status today. If your organization would like to show your support as a Friends of PNBAA sponsor at $1,250, email committee chair Jeff Roberts. Did you see the July special announcement that the Golf Tournament date changed to Tuesday, September 18th? Unprecedented demand has expanded the tournament into a second course on this new date. The player wait list has been cleared and there is still room for more - please sign up. The Golf Committee is honored to announce Dassault Falcon Jet is the Title Sponsor and Golf Ball sponsor. Additional sponsorship opportunities are also available with a wide variety of engagement opportunities. Have you always wanted to host the popular hole sponsorship? It is your year to finally seize it! 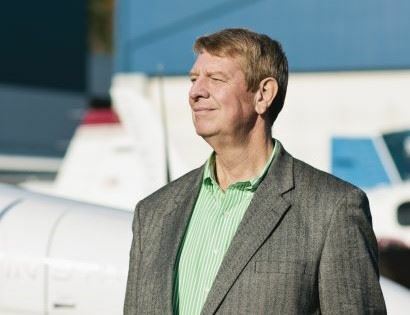 This event promises to be one of the largest business aviation engagements on the West coast. Remind your peers who are not golfers or locally working, they can still join the tournament social festivities at 4:00 pm. Just register for the new "Rusty Putter Miniature Golf contest/19th Hole/Dinner & Awards Ceremony" package. Last month the PNBAA Board of Directors appointed Matthew Dalme to fill the last board vacancy. 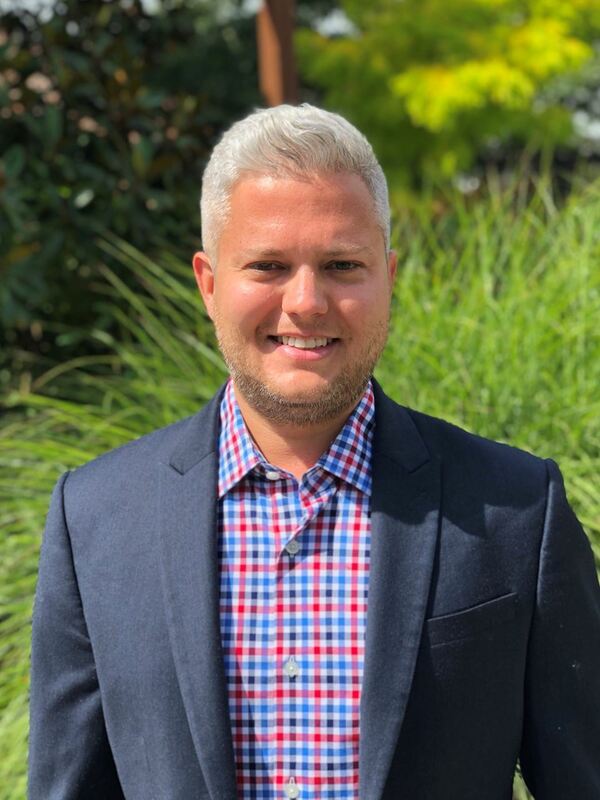 Please join the Board in congratulating Matthew on this leadership role! There is a good chance you recognize him. Matthew has been a familiar volunteer at PNBAA programs over several years. Matthew is a Flight Dispatcher for IAC/Expedia Global, LLC based in Seattle. He began his aviation career in 2014 after accepting the role of Scheduler for IAC/Expedia Global. After several years his role expanded to that of the West Coast based Dispatcher. Matthew is a FAA Certified Dispatcher having earned his Dispatcher License from Universal Weather in 2014. Members are still encouraged to complete a Board application form on the website at anytime to support future vacancies. Three PNBAA members will be awarded $2,500 each in 2018 to further pursue their business aviation career aspirations within the Pacific Northwest. This community is committed to strengthening business aviation. Who do you know that would appreciate this support in their personal growth plans? Perhaps someone ready to rejoin after time off caring for family or looking to switch roles within our industry? What about you? All members are welcome complete the application on the website. The first award closing deadline is August 3, 2018 followed by October 1 and December 1 closing deadlines. Finally golfer, sponsor and tournament-day volunteer online registrations/requests can commence on Friday, June 15th 12:00 am PDT! It could be a frenzy again this year, so golfer and sponsors may want to sign up before your morning coffee or dog walk. The Golf committee will be working over the weekend to confirm requested sponsorship packages. Please share with your peers who are not golfers or locally working, they can still join the tournament social festivities at 4:00 pm. Just register for the new "Rusty Putter Miniature Golf contest/19th Hole/Dinner & Awards Ceremony" package. Fifty-plus professionals from the PNBAA community gathered in May for the annual Flight Attendant and Schedulers & Dispatchers joint meeting. Each group attended role-specific interactive sessions. In the afternoon the standing-room crowd convened to hear an inspirational Scott Moore presentation on Value Based Leadership. Industry veterans and newcomers both expressed this program was time well invested. Let's plan to meet again next spring. Thank you platinum sponsor STEVIE'S Aviation Catering, along with silver sponsors Aircare International, Air Culinaire Worldwide, Bombardier, DaVinci Inflight Training Institute, Global Aviation, Gulfstream Aerospace Corporation, LimousinesWorldwide.com and ONEHOPE Wine for leading the industry in supporting this program. Last month the PNBAA Board of Directors appointed John Gale to fill one of two vacancies. Please join the Board in welcoming John to the PNBAA community! John is Senior Director of Aviation - Nike Flight, leading Nike, Inc's international flight department based in Portland. He brings a diverse operational leadership background in both business aviation and the United States Marine Corp. The Board looks forward to also leveraging his experience as a former board member of the New Jersey Business Aviation Association. Learn more about John's background on the PNBAA Leadership webpage. 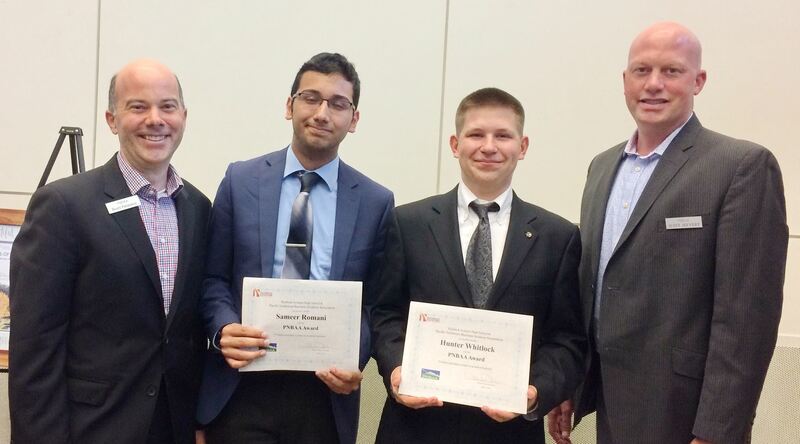 In June the PNBAA Board of Directors awarded two scholarships of $5,000 each to graduating high school students Sameer Romani and W. Hunter Whitlock. These future aviation professionals both attended Raisbeck Aviation High School and The Museum of Flight - Aeronautical Science Pathways program. In the fall Sameer is headed to University of North Dakota to study Aviation Management and continue his flight training. Hunter will be attending Embry-Riddle Aeronautical University (Prescott) to earn an Aeronautical Science degree and become a professional pilot. On behalf of PNBAA, congratulations to these students on exploring your exciting aviation future. Welcome to our community! The Board also awarded this month a $1,000 grant to Seattle-based Aviation for Humanity, expanding PNBAA's philanthropic reach. These funds will purchase school supplies that will be distributed by business aviation operators to the developing nations. Last month the Board made a $2,500 award to the Civil Air Patrol to support their summer youth cadet program. Finally, thank YOU the PNBAA community for attending and sponsoring programs plus renewing annual memberships. The culmination of these activities allow us to pay it forward. 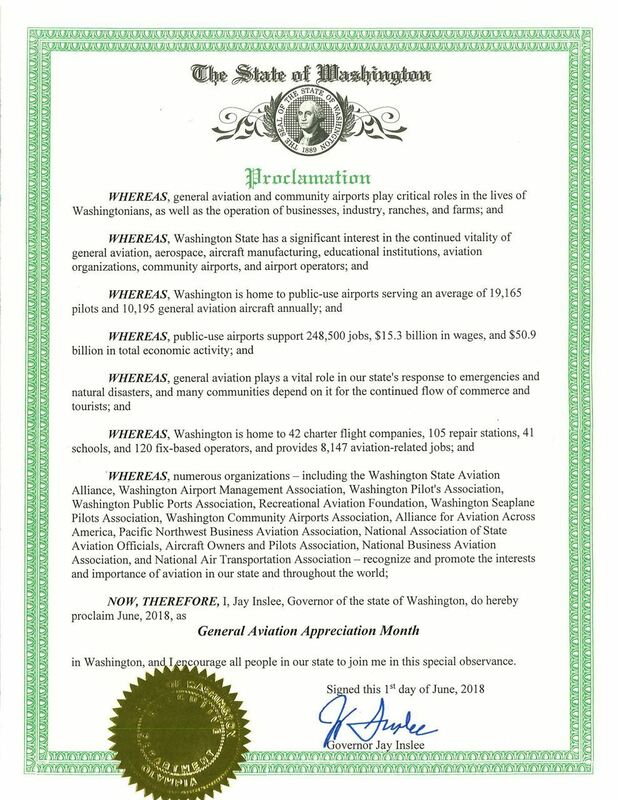 Did you know June is Aviation Appreciation month in Washington Alaska proclaimed it in May. Last year Oregon and Idaho also declared their appreciation. Our state leaders are consistently recognizing the jobs, airports, economics and community connectivity aviation provides. The statistics are impressive with hundreds of thousands of jobs and billions of dollars in benefit. Arguably Alaskans may have the best claim noting more airplanes per capita than any other state! Three PNBAA members will be awarded $2,500 each this year to further pursue their business aviation career aspirations within the Pacific Northwest. This community is committed to strengthening business aviation. Who do you know that would appreciate this support in their personal growth plans? Perhaps someone ready to rejoin after time off caring for family or looking to switch roles within our industry? What about you? All members are welcome complete the application on the website. The first award closing deadline is August 1, 2018. The Blue Angels will be practicing overhead. A gourmet catered cookout lunch will fill you up. Ice cream will make you even happier. Join 200+ like-minded aviation friends and families for our summer social event. Online registration for this free event opens July 1st. This social event is open to just a handful of sponsors to engage in a unique setting. If you would like to participate at the $1,250 level, email committee chair Jeff Roberts. Just days away, please register in advance for the Flight Attendants and Schedulers & Dispatchers joint meeting on the event webpage. PNBAA membership has its privileges, saving you $35/registration! It is an opportune time to confirm your annual membership has not lapsed. Each group will start the day attending separate presentations. The Flight Attendants will learn from MedAire, a peer Roundtable, Aircare International and Honeywell. The Schedulers & Dispatchers will dive into international trip planning with World Fuel Services and then Customs & Border Patrol best practices. By mid-afternoon both groups will convene to hear Scott Moore present Value Based Leadership. There will be plenty of time to socialize at lunch and wine tasting at the end of the day. Thank you Aircare International, Air Culinaire Worldwide, Bombardier, Global Aviation, Gulfstream Aerospace Corporation, LimousinesWorldwide.com, and ONEHOPE Wine for leading the industry in supporting this program. An important update this month. The golfer, sponsor and tournament-day volunteer online registration/request date is now Friday, June 15th. Glad to see you skim this newsletter, reset that reminder. Potential sponsors should definitely be perusing the packages now and building consensus on your top three choices to request on that date. There are new experiences planned to make the 10th anniversary special. The first you will notice is the leisurely start of registration at 10:30 am and a 12:00 pm call-to-carts. Yes its an afternoon tournament! If you are not a golfer or a local working that day, you can still join the festivities at 4:00 pm. Register for the new Rusty Putter Miniature Golf contest/19th Hole/Dinner & Awards Ceremony package - that experience far exceeds the $75 cost. Would you be interested in joining the core organizing committee now to make this tournament an even better experience? Email committee chair Cindy Hales to explore this teamwork and project management opportunity. Last month in this newsletter the PNBAA Board shared a new Member Scholarship/Grant application was in development. The application form is now available on the website. Three members will be awarded $2,500 each this year to further pursue their business aviation career aspirations within the Pacific Northwest. This community is committed to paying it forward in business aviation. Who do you know that would appreciate this support in their personal growth plans? What about you? All members are welcome complete the application. The first award closing deadline is August 1, 2018. The Blue Angels will be practicing overhead, a gourmet catered cookout lunch will fill you up, ice cream will make you even happier. Join two hundred like-minded aviation friends & families for our summer social event. Online registration for this free event opens July 1st. Your annual memberships that help make it possible - thank you! A couple of sponsorship opportunities are available, please email committee chair Jeff Roberts. PNBAA is starting to experiment with the content and your engagement on our private Facebook page. We encourage members of our community post any content relevant to business aviation in the Pacific Northwest. Think of it as a community bulletin board to share directly with each other.